This operative is a troll woman named Ruby, a former shadowrunner turned fixer for Ares Macrotechnology interests. Kinda hands-on, she’s a troll and pretty nasty in a fight, as well as being connected. 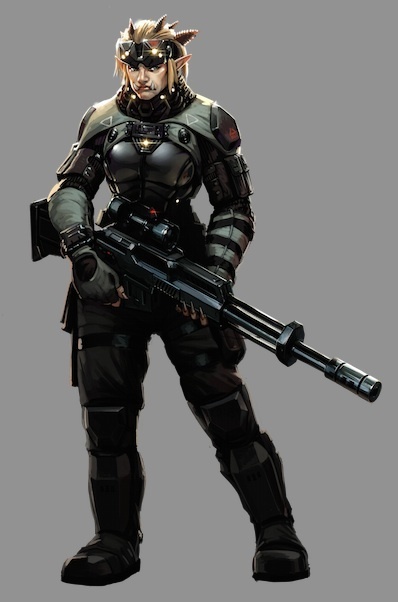 As a shadowrunner; her motto was “negotiation through superior firepower”.